In stark contrast to how E3 press conferences are presented now, Sony started off their event with a slideshow filled with financial numbers. 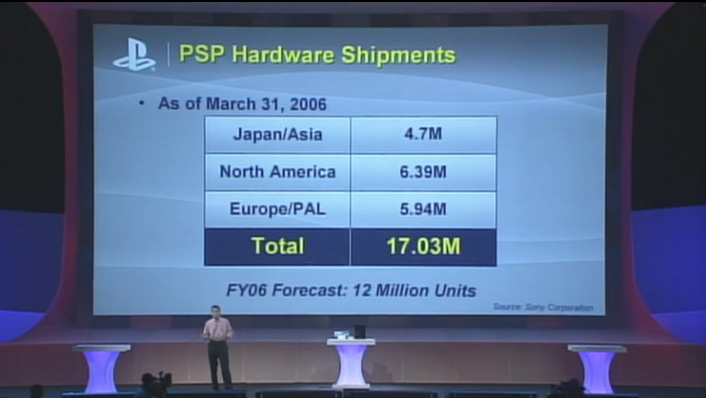 While a lot of these were touting the PlayStation 2's success, they also talked about how the PlayStation Portable was the fastest selling console for the company. In its first year in North America, the portable gaming device managed to sell 6.39 million units. That's an impressive amount, but paled compared to the success that the Nintendo DS found. Another issue with the PlayStation Portable was that games just didn't sell well on it. 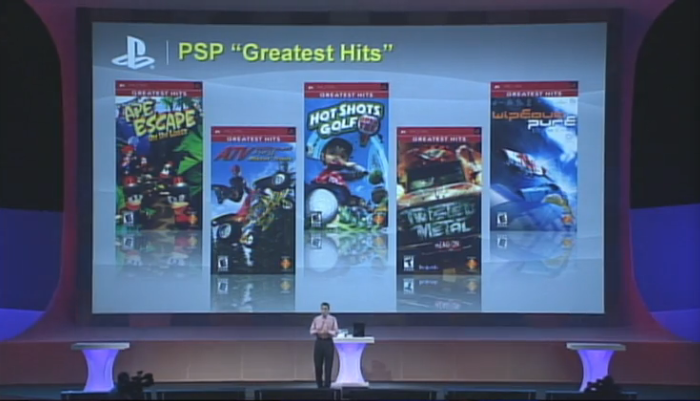 Piracy was rampant on the device, and even value-centric deals like the PSP Greatest Hits series, which was unveiled at E3 2006, didn't help. The first 5 titles to get a budget re-release were Ape Escape: On The Loose, ATV Offroad Fury: Blazin' Trails, Hot Shots Golf: Open Tee, Twisted Metal: Head On, and WipEout Pure. While all quality games, they also symbolized a problem with the PSP's library: it offered lower quality versions of console games, not games designed around portable play. One thing that becomes apparent early on in the press conference is that Sony continually brags about the PlayStation 3 being able to output at 1080p. 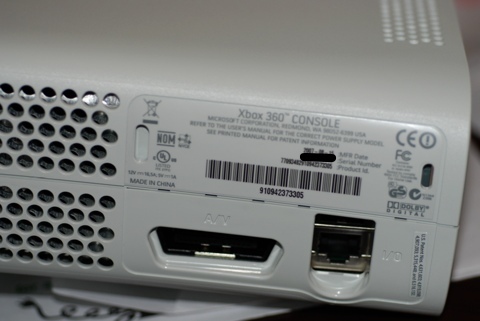 In 2016, that's not a big deal, but back in 2006 the Xbox 360 lacked an HDMI port (which wouldn't get rectified until the next year and meant that most players could only play at 1080i). It was one of the ways Sony tried to convince those on the fence that they were getting a better experience on PlayStation 3. It didn't work. Another aspect Sony kept talking about was that the PlayStation 3 was powered by their Cell micro-processor. This was a joint venture between Sony, Toshiba and IBM. It was a big deal and something the companies spent hundreds of millions on. It was talked up big by Sony, with saying that they'll populate not only gaming consoles but refrigerators in the future. Shockingly, that didn't happen (no seriously, check your fridge and see if you have a Cell processor in it) and was a huge failure for Sony. 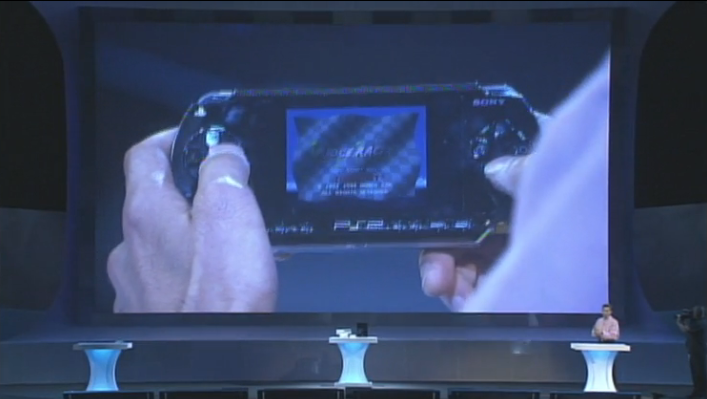 After the financial slideshows ended, Sony started showing off footage of PlayStation 3 games. Well, at least target renders in the case of Eight Days. 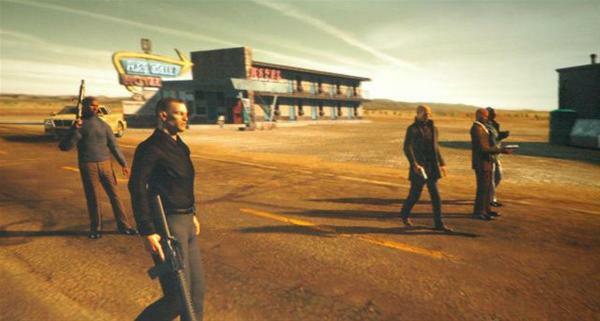 The PlayStation 3 exclusive was being developed by SCE London Studio, and was eventually cancelled in mid-2008 alongside The Getaway. The gameplay that would later surface, was not as impressive as the initial reveals. The first of several memes that were produced from Sony's E3 in 2006 was Kaz Hirai saying "Riiidge Racer!" This was part of the announcement that PlayStation games were going to be emulated on PSP, and should've excited gamers. Instead, it became a laughing stock. That sums up a lot of Sony's moves during the time. Good ideas that ended up being laughed at due to poor presentation. Another meme would come from the live demonstration of Genji: Days of the Blade. After the presenter stressed that the game was based off historical events, he then battled a "giant enemy crab." Yup. Considering Genji was one of the PS3's few launch titles, this embarrassing showing told players that there wasn't much worth playing for early adopters. One area where Sony was ahead of its time was their augmented reality card-game Eye of Judgment. 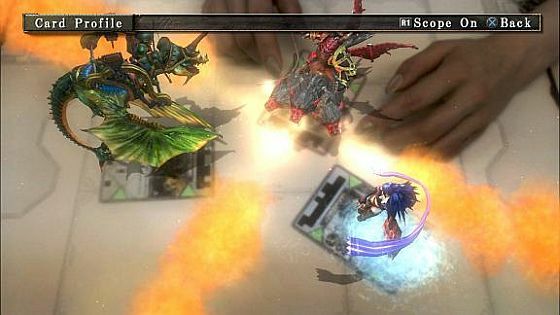 Players used real cards (and the PlayStation EyeToy) to summon digital monsters on their television screens. It's an awesome idea, and one that might actually catch on in the future with how Virtual Reality and Augmented Reality are both taking off in popularity. 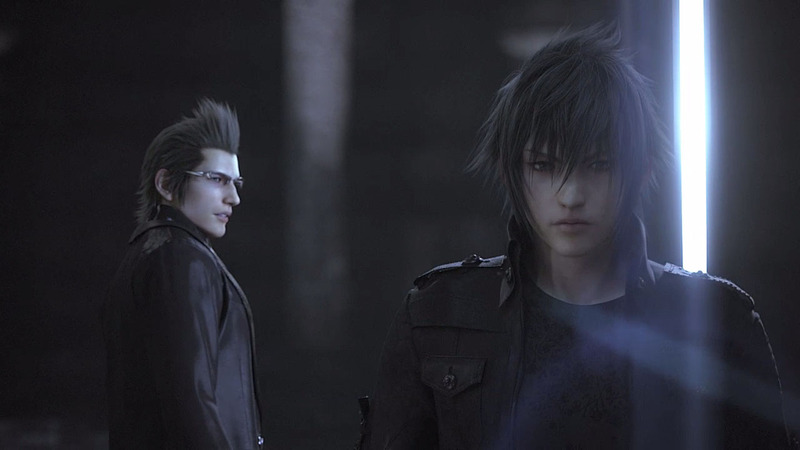 A trailer was shown for Final Fantasy Versus XIII in 2006. The game is still in development to this day, and is now called Final Fantasy XV. That's amazing, and the role-playing game been a huge money sink for Square Enix. It's one hell of a wait, and it's one that will finally come to an end when it releases later this year. 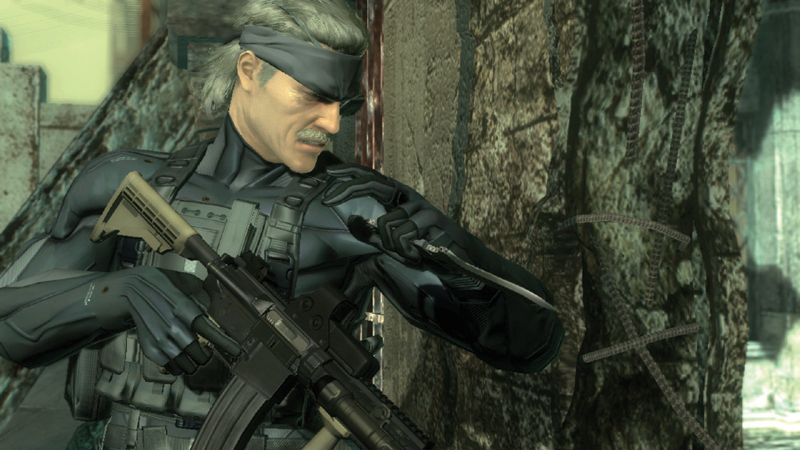 The story of Solid Snake would come to an end in Metal Gear Solid 4, which finally released in 2008. Non-surprisingly, MGS4 ended up impressing at E3 2006 with a phenomenal trailer that was directed by Hideo Kojima. This was one of the highlights of the show, and one that will immediately make you want to replay the PlayStation 3 classic. While it wasn't released at launch, it ended up being one of the PlayStation exclusives that would eventually get gamers to purchase a PS3 (once the price dropped, of course). The MGS series is still just as relevant today as it was in 2006 with Metal Gear Solid V gaining wide acclaim in 2015. 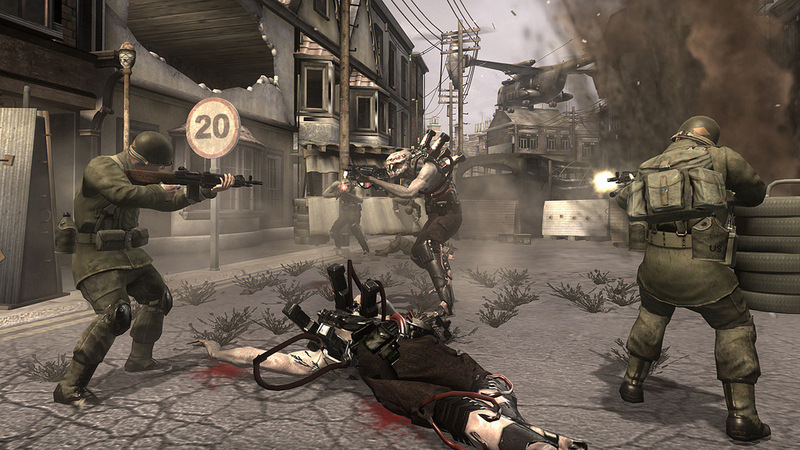 The only PlayStation 3 launch title that really impressed upon release was Insomniac's Resistance: Fall of Man. Sadly, outside of the original release it never became a huge hit for the publisher. Sony tried to push the series early on, but it just never caught on. Two sequels were made (let's pretend the Vita spin-off doesn't exist), and both performed poorly upon release. One moment that should be a meme is when Dylan Jobe was brought on to demonstrate Sony's Sixaxis controller. 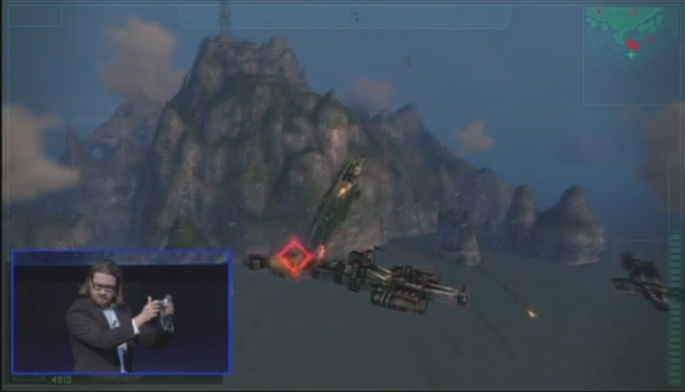 While playing Warhawk, Jobe made very exaggerated motions to try to sell the control scheme to the audience. It probably played better in 2006 than 2016, but it just looks ridiculous when you know those huge movements are unnecessary. Sixaxis ended up being an unnecessary expense for the controller, and motion controls actually got patched out of several releases due to a poor reception. This was another failure on Sony's part, and one that raised the prices on their controllers. Alright, so Afrika might not be a groundbreaking video game, but it was pretty damn cool. Basically the next evolution of Pokémon Snap, the title allowed players to roam the African safari in order to take pictures of gorgeous animals. It was a real graphical powerhouse at the time, and showed off what the PlayStation 3 could do. 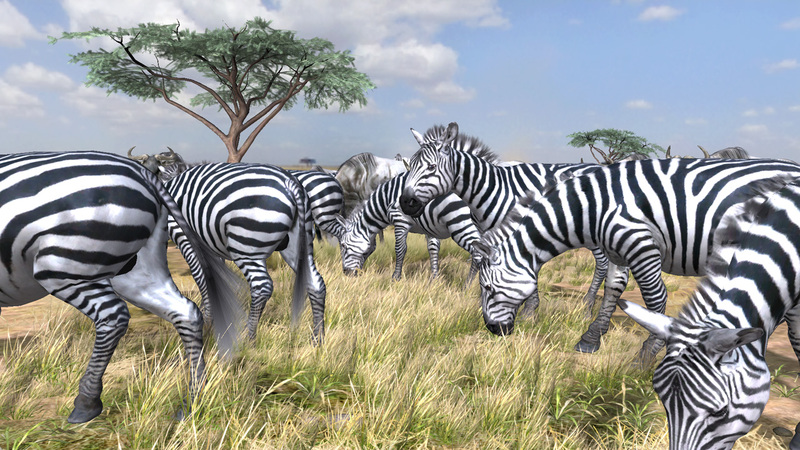 Sure, the realistic zebras weren't as impressive as the CGI trailers of Eight Days and Killzone 2, but it ended up looking gorgeous and showed what the system was capable of. 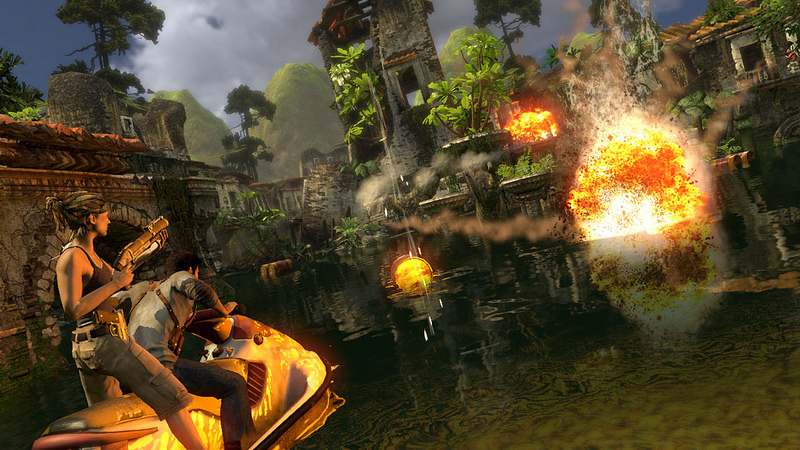 While it was left untitled after this debut trailer, Uncharted would end up defining the PlayStation 3. The console received 3 great installments of Naughty Dog's best series, and it's even stealing the show in 2016, as Uncharted 4 just came out this week. It's pretty fun to juxtapose the 4 entries in the Uncharted series to Final Fantasy XV, which has been in development during this entire span of time. 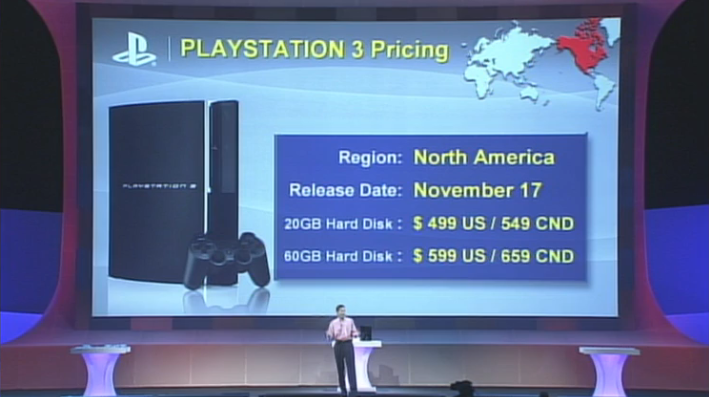 The show ended with a bombshell: the PlayStation 3 would be priced at $599 if you wanted the 60GB model. That was basically the price of a Xbox 360 AND a Wii at the time. This was a huge gamble for Sony, and one that ended up crippling the system for years to come. Sony had to fight hard to stay competitive with Microsoft, and bringing the price down was one of the big ways they did it. It's something else to see how confident Kaz Hirai looked announcing the price, now knowing what a disaster it ended up being.